Complaints, complaints, complaints! 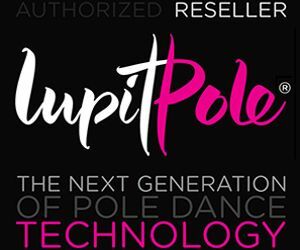 If you are in the Pole Dancing arena whether for a small amount of time or longer you will have heard at some point that the results of a pole competition are subject to doubt. Where does the responsibility of the athletes themselves lie and could their preparation change the final result? These last six years I have been in the Pole Dancing community and especially the last two as a founder of Vertical Wise, I have worked with all the organizing Committees in Greece and with most of the important organizing Committees abroad. What can be clearly observed and that which makes an impression is the non-compliance of regulations. I am not talking about last minutes mistakes. I am referring to the fact that many pole dancers / pole athletes do not read the regulations of the competition where they are going to participate! Every sport has rules. They are usually lengthy, boring terms and conditions. In many cases, there’s not much to read. 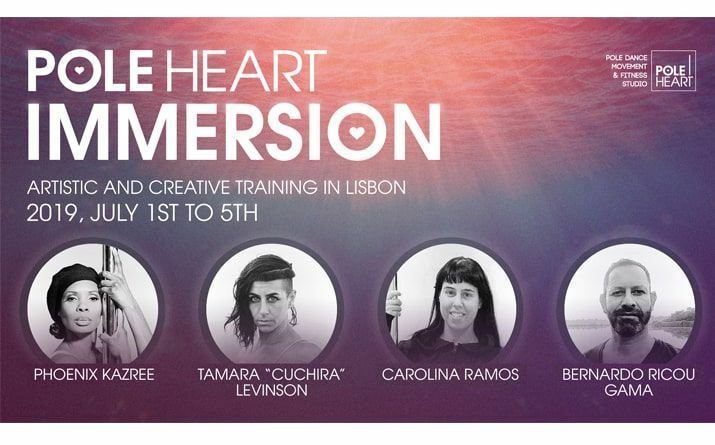 The rules could be as simple as “unleash your soul on stage” or “dance with your heart”. There are many competitions where it’s easy to join and to claim a place on the podium without paying much attention to the rules. However, there are cases where you really need to read the full regulations properly before taking part and especially when you intend to spend endless money, time and effort. Knowledge is power! Don’t sabotage yourself. In these competitions, the focus is more on movement and music. There is usually a set of criteria that the judges will use to decide who will be the winner. You must know these criteria as this will affect the amount of time you devote to each piece of choreography. The winner shall be decided in accordance with the character that you will embody or the originality of choreography? How much weight is given to the outfit and makeup? What are the limitations posed? First, ensure you devote time to studying of the regulations and then make all of your creative decisions. 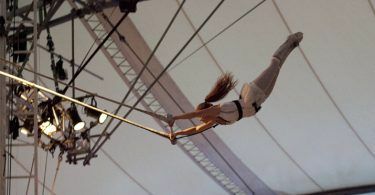 Pole Sports competitions focus on physical fitness, technical difficulty, and execution of exercises. The devil is in the details and those details are included in the score. Check the fine print – Υou may be forbidden to wear clothing with logos or appear on stage with piercings. Also, in competitions such as those of the IPSF, choreography must be structured in line with the Code of Points where higher scores do not necessarily mean more difficult tricks but smart combinations of exercises. Check the time and date carefully and do not send the application form for last minute, as the registration form may have disappeared. Also, be careful because if you send a request at 11:59 pm, when it is received by the organiser it will be 12.01 am and by that time, you will have missed the deadline! As I said above, knowledge is power. An objection is submitted when you’re 100% sure that everything went well with the choreography and you do not agree with the rating that you were given by the judges. Usually, the complaint may be submitted up until 30 minutes after the end of choreography with a fee so it is important to know beforehand such details so as not try and figure out the procedure last minute. In these cases, if your objection is valid then the scores are redone. Important, isn’t it? Make sure that the video submission follows the regulations of the competition. 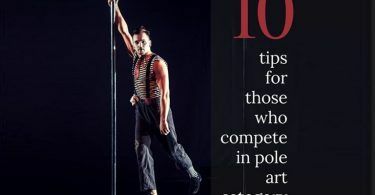 If the contest is Pole Sport do not send a lyrical choreography! Patience is a virtue! Do not rush to send the video submission. Ensure you have the rules and read them when you have the time or make a screenshot on your mobile phone and read it every day. Also, check if the video submission must be brand new. Can you use a video that you have sent elsewhere or in the past have danced in another contest? The submission of a recycled video is fast, but a search on YouTube from the Organizer could make your position quite uncomfortable. Save the regulations in a file so that you have them. You will be surprised by how many organizers amend regulations at frequent intervals or change the expiration date or other details. Login often so as to be sure that your choreography is consistent with the regulations. The organizers tend to say little and whatever is provided is through social media. In most cases, they will not deal with the expiration date or will not provide a link to the full terms and conditions. If you cannot find vital information, contact the contact person and ask him where you can find the information you want! Before ‘outing’ the organizing Committee in your cycle or in social media double check the regulations because you may eventually realize that you are the one who is exposed. You don’t always need to trust information by a so-called an experienced contestant. Something that was old can now be changed. Viewers may have a more favorable image of the competition if participants understand the rules and follow them. For example, the clothing code enforcement in the competitions of IPSF can be uncomfortable for some contestants, but the outfits worn by the contestants can create a positive perception of viewers of the sport. Uniform application of regulations can reassure audience members, as they know what to expect when coming to your event. Many competitions rely on their reputation which has been created over the years. When contestant violates important regulations, the public can stop trusting the organization. The definition of regulations and the mandatory acceptance of said by participants is the first step in avoiding disagreements. Sometimes you may need to change some rules along the way, just make sure that these changes are clear to all and that all the aforementioned have been properly updated. In addition, the regulations provide legal protection. If the regulations are written with clarity, the organizer has a stronger legal basis if challenged in court. Finally, clear regulations send the message that you respect the contestants and care about their success. And here I would like to tell me, in the comments box at the end of the page, where you think an athlete’s responsibility stops and where coach’s responsibility begins with regards to compliance with the regulations?